Photography is no different than any other business. Photographers should know what their USP is (Unique Selling Proposition). Who? What? When? Why? How? are all fundamental questions that can help you as a photographer discover your USP and utilize it in your business if you don't already CLEARLY know that it is and share it on a regular basis. When are you going to take the actions necessary to ensure you have an awesome USP? Why, really and truly why, should someone choose you over another photographer? How are you going to share your USP with potential customers once you have figured it out? If you don't already know your USP, are unsure of your USP or just need to revisit what you thought your USP was, use the 5 questions above and take some time figuring it all out. Your unique selling propositions will be one of your single most powerful marketing tools that should help you close more business. 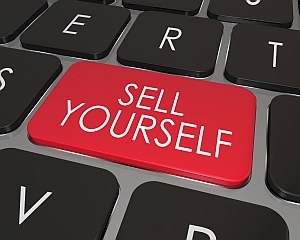 Don't let price be your USP. For example, "I have the best prices in town and that's why you should choose me." That's not good enough. Focus on your strengths not your weaknesses in your USP. Yes, that seems obvious, but if you don't think through it properly, it can cause you to get discouraged. For example, if you are competing against five 10 year veteran wedding photographers and you have less than one year of experience, the 10 year veterans may say, "I have been doing wedding photography for 10 years" which you cannot say. However, if your USP is not time in business, not price, which neither really are great USP's, it could be that you do X differently than other wedding photographers, that you have 3 assistants with you at the wedding (making it up but you get the idea) or that you offer X that no one else in the area is offering. Find what makes you different and focus on that because only time will allow you to focus on how long you have been in business which at the end of the day is NOT A USP by itself. It's a selling point but not a USP. What's next? Get busy creating an awesome USP that truly sets you apart from other photographers. Don't forget price and time in business are not the best USP's to have. They might be selling points but are not really stellar USP's.